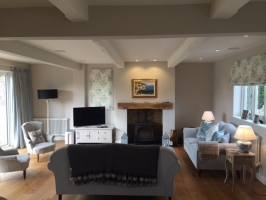 A local family came to us with ideas for their new living/dining space but needed help to pull the scheme together. 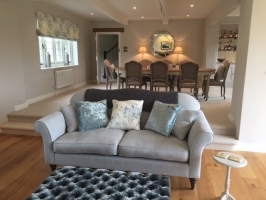 Working with their furniture and colour choices we advised on paint colours and fabrics, then added to the room with vintage chairs, curtains & blinds and a custom-made footstool. 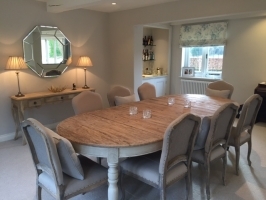 We then accessorised the room and sourced dining chairs to work with their table. 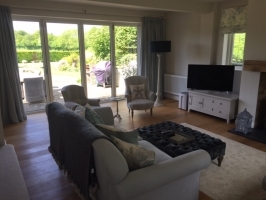 The overall effect is a stunning, family-friendly living dining space in a timeless country style.